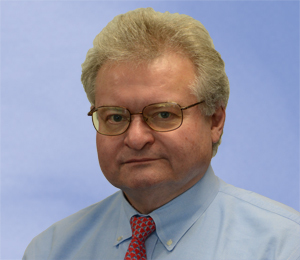 W. Thomas Jagodinski has served on the Board of Directors of Lindsay Corp (LNN) as its Audit Committee Chairman since 2008. Mr. Jagodinski served on the Board of Directors and as Audit Committee Chairman of Quinpario Acquisition Corp. (f/n/a QPAC), a special purpose acquisition corporation. Effective upon the consummation of a merger in 2014, QPAC changed its name to Jason Industries (NASDAQ: JASN) and Mr. Jagodinski resigned from the Board. Mr. Jagodinski joined the board of Quinpario Aquisition Corp 2, (NASDAQ: QPAC) a blank check company formed in 2014 for the purpose of effecting a business combination, where he is the Audit Committee Chair. Mr. Jagodinski served on the Board of Directors of Phosphate Holdings, Inc. and its Audit, Compensation and Governance Committees from 2009-2014. He served as the Board Chairman from 2011-2014. Mr. Jagodinski also served on the Board of Directors and as Audit Committee Chairman of Solutia Inc. from 2008 to 2012 when the company was acquired by another company. Mr. Jagodinski, a private investor, was President, Chief Executive Officer and director of Delta and Pine Land Company from 2002 until June 2007 when the company was acquired.